The PSA World Tour will be joined by another nation this season, as Philippines’ Jemyca Aribado, or Myca as she is fondly known to those close to her, will be making her debut at the $10k PSA China Challenge Cup next week (14-18 September), where she is the second seed in qualifying. Jemyca’s first taste of the sport came at a young age of 5, where she would go from squash to tennis and forth, and it wasn’t until she was 12 before she made up her mind on which she actually preferred. From then onwards, there was no turning back for Myca. In June last year, the 22 year old Taguig City native made her presence felt in the region at South East Asian Games, where she stunned the joint third seed, Singapore’s Nur Adawiyah Aziz in straight games to make the semi-finals of the individual event before losing out to Malaysian Vanessa Raj, the world number 64. While her results at the regional games may have been a surprise to many, it certainly wasn’t the case for Myca, who had trained for ten weeks in Amsterdam, Netherlands under the tutelage of South African Carl Koenig, coach to Cameron Pilley and his wife Line Hansen. 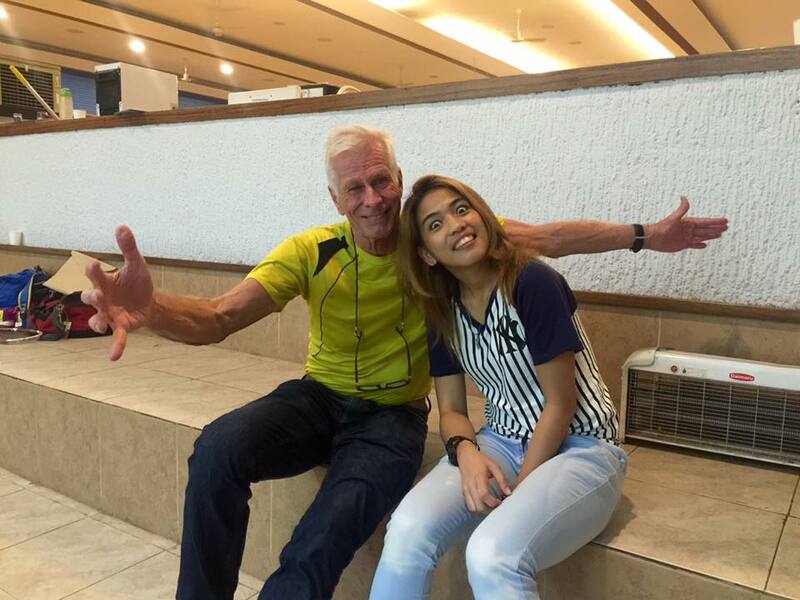 Jemyca shared that one of the most important people in kick starting her squash career is Dutchman Louis Bronsveld, an avid squash fan who had funded her trip to Amsterdam back then. It was a meeting by chance as all that happened was Louis catching Jemyca in action one day and the rest, as they say, is history. Right after Games, Jemyca had revealed that is was her dream to play on the PSA World tour and just over a year later, she is heading to fulfil that dream of hers. Back then, she also mentioned of political problems with the national association and funding, and she has conquered both of them as her foray onto the tour is funded by the Philippines Squash Academy. Today, she trains in Manila with under coaches Jaime Ortua and Jun Paganpan. She has set herself a target of a top 100 ranking by the end of the year and at the current time of writing, she would have seven events that she has registered to chase that. The Philippines team at a tournament in Indonesia a few months ago. 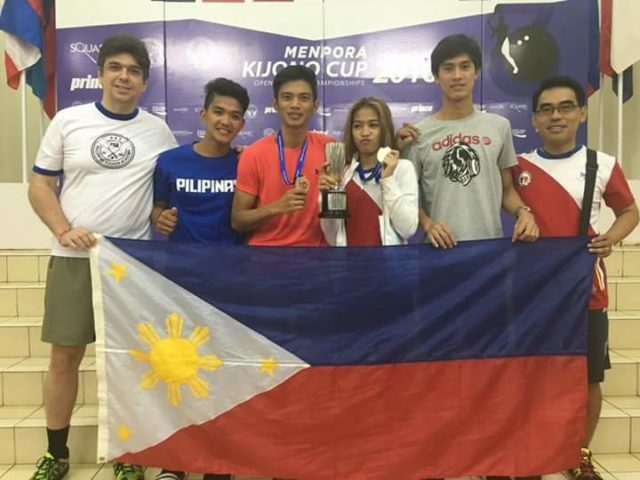 From left : Robert Bachmann (Philippines Squash Academy president), David Pelino, Robert Garcia, Jemyca Aribado, Reymark Begornia and coach Jun Paganpan. Apart from Jemyca, all three of her training partners – Robert Garcia, David Pelino and Reymark Begornia have also joined the PSA, and are due to make their debut in October at the Malaysian Squash Tour event.